Join Pinnacle March 24-27 at the National Indian Gaming Association tradeshow at the Phoenix Convention Center in Phoenix, Arizona. Find us at Booth # 536 and speak to us about our casino seating repertoire with the Indian Gaming community. Pick up a catalog or a CD catalog while you are there. Talk to one of our expert staff on your seating needs, our new designs, and more. 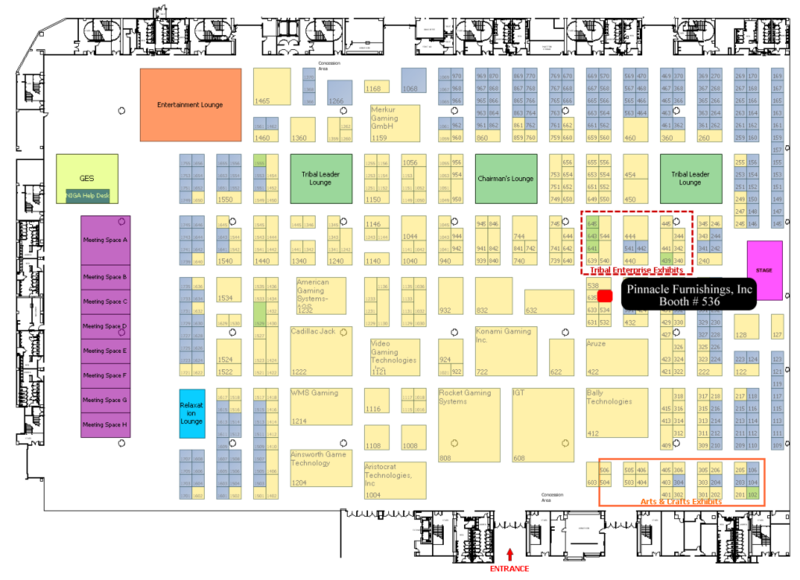 See below for a map of the NIGA Conference; Pinnacle Furnishings’ booth is in red.